Ten teachers from around the world are all hoping to take the title of world's greatest teacher, as well as winning a one million dollar prize! The teachers were picked from over 10,000 nominations and applications from 179 countries around the world including the UK. 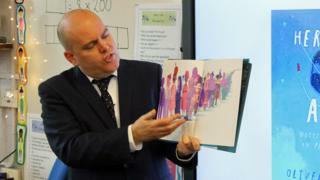 Andrew Moffat, who teaches at a school in Birmingham, is the only teacher from Britain to make it to the final ten. He was nominated for bringing children together from lots of different backgrounds. Mr Moffat, was given an MBE by the Queen in 2017 for services to education and runs an after-school club for children at his school, many of whom speak another language at home. The club is a chance to meet people of different races, religions and cultures around Birmingham. "This is the best job in the world - it really is because you get to be around kids every day", said Mr Moffat. "I see kids when they're 4 years old when they're starting at our school and I see them at 11 years old and I'm part of that life experience. It is an honour to be part of that journey." The teachers picked for the contest come from schools in different kinds of places, from big cities like Birmingham, to tiny villages where families don't have much money and children have fewer opportunities. Finalist come from the Netherlands, Brazil, Japan, Argentina, the US, Kenya, India, Georgia and Australia and are all recognised for helping to inspire children to achieve their potential in any subject. 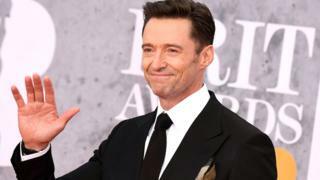 In a special video message announcing the top ten finalists, Wolverine and Greatest Showman star Hugh Jackman explained why he thinks teachers are amazing. "When I was a kid there were lots of superheroes that I wanted to be. But I can tell you right now, from where I stand, with all my experience, the real superheroes are teachers - they're the ones that change the world." The movie star whose brother and sister are both teachers, says that he had one inspirational teacher who helped him become an actor. "I think of Lisle Jones who was the most influential acting teacher I ever had. Prior to Lisle I could only get to a certain point. He used to say to me things like "You're standing outside the character." He said "You're good. Don't get me wrong, it's fine, it's OK. But what you need to do is to let go and trust." Good advice and it obviously worked! Last year, for the first time, the world's best teacher came from Britain. Andria Zafirakou teaches art and textiles at a secondary school in London and won the prize because of how she's helped children who speak different languages feel comfortable in her school. What do you think makes a great teacher? Let us know in the comments below. Could your teacher be replaced by a robot? The Brits 2019: Who were the winners? I think a good teacher should be: compassionate, truthful, understanding, clever and have a sense of humour. Basically my teacher!